The Insider Monkey team has completed processing the quarterly 13F filings for the September quarter submitted by the hedge funds and other money managers included in our extensive database. Most hedge funds have been producing disappointing net returns in recent years, however that was partly due to the poor performance of small-cap stocks in general. Well, small-cap stocks finally turned the corner and have been beating the large-cap stocks by more than 10 percentage points over the last 5 months.This means the relevancy of hedge funds’ public filings became inarguable, as they may reveal numerous high-potential stocks. The following article will discuss the smart money sentiment towards DuPont Fabros Technology, Inc. (NYSE:DFT) . Is DuPont Fabros Technology, Inc. (NYSE:DFT) a first-rate investment now? Money managers are definitely reducing their bets on the stock. The number of bullish hedge fund bets that are revealed through the 13F filings slashed by1 recently. There were 19 hedge funds in our database with DFT positions at the end of the previous quarter. 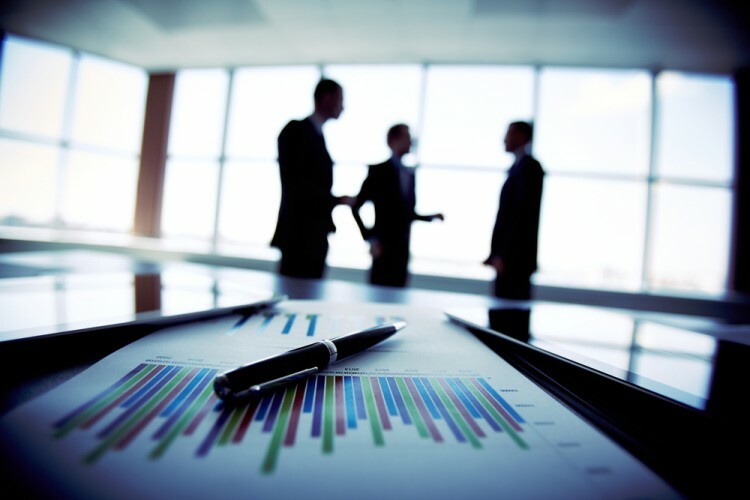 At the end of this article we will also compare DFT to other stocks including Bank of Hawaii Corporation (NYSE:BOH), Avis Budget Group Inc. (NASDAQ:CAR), and Integrated Device Technology, Inc. (NASDAQ:IDTI) to get a better sense of its popularity. Keeping this in mind, let’s view the recent action encompassing DuPont Fabros Technology, Inc. (NYSE:DFT). What have hedge funds been doing with DuPont Fabros Technology, Inc. (NYSE:DFT)? At Q3’s end, a total of 18 of the hedge funds tracked by Insider Monkey held long positions in this stock, a decrease of 5% from one quarter earlier. 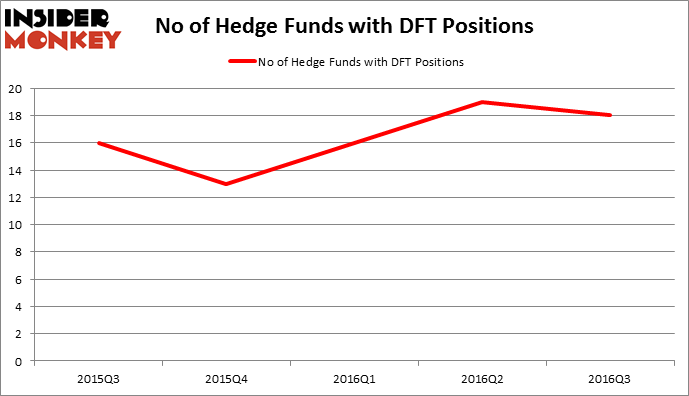 The graph below displays the number of hedge funds with bullish position in DFT over the last 5 quarters. With hedgies’ sentiment swirling, there exists a few notable hedge fund managers who were boosting their holdings substantially (or already accumulated large positions). Of the funds tracked by Insider Monkey, Jeffrey Furber’s AEW Capital Management has the largest position in DuPont Fabros Technology, Inc. (NYSE:DFT), worth close to $109 million, amounting to 2.3% of its total 13F portfolio. The second largest stake is held by Ken Fisher of Fisher Asset Management, with a $54.2 million position; the fund has 0.1% of its 13F portfolio invested in the stock. Some other members of the smart money that hold long positions contain Jim Simons’s Renaissance Technologies, Israel Englander’s Millennium Management and Ken Griffin’s Citadel Investment Group. We should note that none of these hedge funds are among our list of the 100 best performing hedge funds which is based on the performance of their 13F long positions in non-microcap stocks.